When Is a Health Care Audit More than a Just an Insurance Audit? Is your clinic under audit? Did investigators stop by to request files or to conduct interviews? Are you concerned about missing or incomplete files? Did you come across instances of billing for services that were not actually provided? Are you concerned your audit may be referred to law enforcement like the U.S. Attorney’s Office? Are you overwhelmed and seek guidance? Purpose of this article, co-written by former Justice Department health care fraud prosecutors, is to alert medical professionals about the dangers of underestimating a seemingly routine health care audit and to provide some guidance on how to effectively protect your license. In the old days, being under occasional audit was a routine experience for any medical provider. Typically, every few years, a doctor’s office or a health care business would get a letter from Aetna, BlueCross, or other agencies with a request to perform a chart audit. The doctor would submit 5-10 patient charts, receive admonishment at times to change codes or to improve his or her notes, but would then be in the clear and continue the practice without interruptions until the next audit in the years to come. 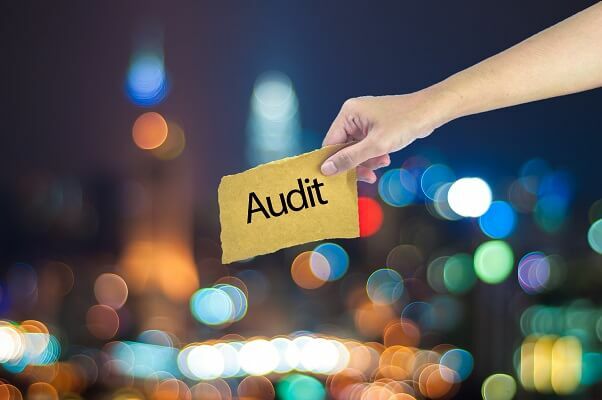 While these types of traditional audits continue to plague doctors and business owners, the scope and purpose of many audits have dramatically changed. The key difference is this: formerly, auditors performed reviews without any prejudice and without a premeditated plan to look for specific, already identified or believed misconduct. Today, the opposite holds more and more true. Audits have become more specific, more targeted, more premeditated. Purpose is no longer a general practice review, but a specific fraud analysis. This shift is of enormous significance. If the audit is a foregone conclusion, any production of documents and patient charts is risky business. If, for example, a provider receives a request to produce 30 patient charts and all charts, upon closer examination, share the same mistake (e.g. utilization of a non-approved code, application of a certain particularly expensive procedure), then caution is in order. Recent Medicaid audits of dentists and pediatric dentists, reviews of HCPCS code L8679, and highly targeted ZPIC Medicare audits of home health agencies are just three random illustrations of this trend. Despite this trend, providers continue to grossly underestimate the significance of an audit. In our experience, approximately 70% of all federal health care fraud indictments have their roots in poorly handled audit responses. Oftentimes, a client finds himself or herself under investigation as noticed by way of a federal search warrant, an arrest, an indictment, or a grand jury subpoena. However, looking beneath the surface reveals that virtually all of these law enforcement activities are not shocking surprises as most clients will report but rather late consequences of letters received from the medical board, notifications from the board of pharmacy, or insurance audits that had occurred within the last two years prior. Example: Client hires Oberheiden, P.C. the day after the DEA searched his office. Client is in total shock and had no clue this would be happening. In the conversation with client, we learn that 1.5 years ago, client received a notification from the medical board questioning his prescription policies. Back then, client thought this was not a big deal and simply sent some response notes himself. These notes did nothing but incriminate the provider. Example: Client finds himself federally charged with health care fraud. She hires Oberheiden, P.C. to protect her license and freedom. The arrest and the indictment can be traced to a complaint from a former patient that triggered an insurance audits eight months prior. The insurance company handed the file over to the U.S. Attorney’s Office, which then indicted the doctor. The physician handled the complaint by herself and thought this issue to be resolved. Example: Medicare intermediaries notified the physician that he was an outlier. The doctor vigorously disagreed and drafted a response defending himself. Essentially each paragraph of the doctor’s answer contained self-incriminations. U.S. prosecutors indicted the doctor, now a federal criminal defense client of Oberheiden, P.C. Don’t repeat these mistakes. If you receive any correspondence from the medical board, the pharmacy board, a patient complaint relating to fraud, an insurance audit request, a government subpoena—then remember this: You may be a great doctor, but you may lack the experience to operate as a federal criminal defense attorney. Save money, contact Oberheiden, P.C. at the earliest sign that something may be going on against your clinic so that you don’t have to deal with bad consequences on the back end. We are available on weekends! Oberheiden, P.C. is a team of former high-level Justice Department officials, former Assistant United States Attorneys from the U.S. Attorney’s Office’s health care fraud section, and federal defense attorneys with a strong focus and extensive track record of defending medical providers in audits and against accusations of health care fraud. Oberheiden, P.C. attorneys have represented hundreds of physicians, dentists, psychologists, psychiatrists, chiropractors, clinical owners, and health care entrepreneurs, like you, in audits, fraud and abuse reviews, and proceedings across the United States. Experience dictates strategy. Like few others, Oberheiden, P.C. attorneys have seen how an underestimated audit can end up on the desk of prosecutor. Many of our attorneys used to make charging decisions and have seen first-hand how the production of a badly handled patient chart review resulted in a formal investigation. We make sure you don’t end up on the desk of an OIG or FBI agent. Contrary to public belief, federal prosecutors do have and do exercise jurisdiction over health care audits initiated by commercial insurance payors. In other words, you don’t need to be subject to a ZPIC audit, Medicare audit, Medicaid audit, or a CMS investigation to be under federal scrutiny. Keep that in mind! Put differently, any audit you go through can ultimately be reviewed by the U.S. Attorney’s Office. Here are exemplary questions that we ask our clients in order to assess the scope, nature, and likely purpose of the audit that they are going through when they contact our office. How many audits did your practice go through in the past five years? What was the scope of the audit request? Did you produce patient charts? Did the auditors ask for additional patient information? Did the auditors ask for financial or corporate information? Are you under payment suspension? Have investigators reached out to you in person? Did the auditor request any information other than patient files? Are you currently in litigation? Are former employees hostile or have threatened reporting you for alleged fraud? Are you aware of any potential whistleblower action against you? The answer to each question further illuminates the circumstances of the audit. If, for example, investigators show up at your clinic to conduct interviews, to us, that is very meaningful. Similarly, if you already produced patient charts and the auditor is now asking for additional files, we would have reason to believe that a dialogue with the auditor is necessary to explore avenues of avoiding further escalation or a referral. In each audit, providers have three choices. They can simply produce the requested records, not produce them, or produce them only after they know what the audit is actually about and what exactly prompted the audit. Here are the choices to respond to a targeted audit. Option One: Produce the records. When you simply produce the records as requested, you will, with reasonable certainty, invite yourself to a second round of patient record requests. Because all you can do at this point is to hand over more potentially hurtful documents, you may not appreciate the outcome. Option Two: Don’t produce the records. Clearly, that is not a choice for those providers that are in-network. Accepted contractual obligations require all members to adhere to agreed upon terms and conditions, including but not limited to being responsive to audits. Option Three: Involve Counsel. What’s the advantage of involving an experienced attorney from the beginning? The short answer is: to save you money. The job of an experienced audit attorney is to advise you about your potential exposure, to protect your license, and to make sure you do not lose any insurance benefits. Instead of producing records blindly, the lawyer will serve as a buffer between you and the auditor. The lawyer will enter into a dialogue with the auditor, will find out what prompted the audit, what the purpose of the audit is, and from the very beginning make sure this audit will be resolved on this first level— instead of being referred to law enforcement or the medical board. How Can Oberheiden, P.C. Help Me with My Audit? Just like patients come to you because of your experience, your reputation, and your location—clients hire Oberheiden, P.C. when they need an experienced attorney that can resolve audits at the earliest stage. make them. We have represented dentists (including pediatric dentists), primary care physicians, internal medicine specialists, cardiologists, surgeons (including vascular surgeons), pain management doctors, psychologists, psychiatrists, professional counselors, nurses, and many more specialists in Medicare audits, ZPIC audits, and commercial insurance audits across the United States. No matter how concerning the situation had been, Oberheiden, P.C. always found a way for our client to keep his license and to not be referred to law enforcement. Example 1: No files at all. Our client, a psychologist, received a Medicare Audit request. The client had zero treatment notes. Dr. Nick Oberheiden convinced CMS to not sanction the professional and to not exclude her as an accepted provider. No fine, no sanction, no referral. This case is representative as many clients come to us concerned about missing files or no files at all. Example 2: Very bad files. Doctors are busy and often they do not dedicate the time necessary to write extensive notes or to prepare general treatment protocols and policies. As a result, files are incomplete, and auditors are prepared to sanction medical professionals for “bad” notes if the notes do not appropriately and in detail justify the medical necessity for the frequency of visits, the procedure performed, or the prescription authorized, to name only a few examples. Call Oberheiden, P.C. today to find out how we have helped providers from across the U.S. nonetheless navigate through the audit without recoupments or confidential settlements. Example 3: Services billed, but not provided. We have never come across a perfect clinic. We understand that ever changing rules, busy schedules, unreliable staff members, and pressure to see high volumes of patients all contribute to inaccuracies. Our attorneys have successfully defended doctors of all specialties confronted with patient chart requests that had wholes, mistakes, and missing information. As long as you have an experienced attorney that can explain, clarify, and serve as a buffer to the auditor, most issues, even serious ones, can be handled without the threat of license suspension or prosecution. Call Oberheiden, P.C. today and let us help you.